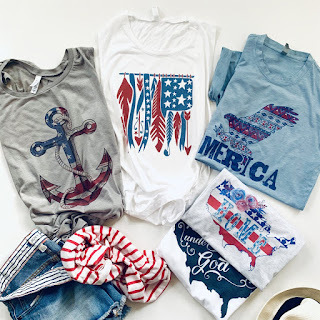 Love these Memorial Day Custom Tees &amp; Tanks $13.99 (Retail $28). Introducing our NEW BOHO USA Tees and Tanks! Great Designs! Made from soft, cotton/poly french terry, you will love how this tank fits and feels. We use a direct to fabric print for a soft finish that won't crack or peel.